Bridgestone tires are engineered to perform when it matters most. Explore some of Bridgestone’s best all season, summer, winter, performance and all terrain tires and find the right fit for your vehicle. Bridgestone’s all-season tires are engineered to deliver versatility for those drivers who need year-round performance. Find the best option for your vehicle and driving style by comparing all of Bridgestone’s all-season tires. An all-season tire designed for CUVs and SUVs. The Ecopia H/L 422 Plus tire is engineered to be fuel efficient and deliver a quiet, comfortable ride. An all-season touring tire designed for cars and sedans. Engineered to quietly impress, the QuietTrack utilizes Bridgestone’s latest technologies to provide a quiet, comfortable ride while delivering control in wet and dry conditions. For drivers looking to combine ultra-high performance with all-season capability. The Potenza RE980AS tire is optimized to deliver crisp handling all year round for your premium sports car or sedan. Engineered with racing-inspired technology, Bridgestone summer tires deliver impressive performance. Find the best option for your performance and sport vehicle by comparing all of Bridgestone’s summer tires. Built for the street and the track, the Potenza S-04 Pole Position is one of Bridgestone’s best summer tires. This ultra-high performance tire is designed to deliver responsiveness and cornering for your sports car, coupe or sedan. The Potenza RE-71R is a summer performance tire developed for lasting grip. Engineered with Bridgestone’s most extreme racing-inspired technology, the RE-71R allows for extreme cornering and braking, making it Bridgestone’s highest performing street tire. Bridgestone’s truck tires are built so you can explore the road less traveled. Whether you’re looking for an all-terrain tire or a commercial truck tire to help you get the job done, Bridgestone has you covered. Compare Bridgestone’s wide selection of truck tires to find the perfect match for your vehicle and driving style. The Dueler H/L Alenza Plus is an all-season truck and SUV tire designed to perform year round and deliver a quiet, comfortable ride. Engineered to perform for your active lifestyle, the Dueler A/T Revo 3 is an all-terrain truck tire that will deliver off road handling and a quiet, comfortable highway ride. Bridgestone winter and snow tires are built to provide you with the confident grip and control you need in winter weather. Make sure your vehicle is prepared to take on winter’s worst and conquer the cold. Explore some of Bridgestone’s best winter tires and find the perfect match for your vehicle. A winter tire built for cars, sedans and minivans, the Blizzak WS80 is engineered to conquer winter conditions. With confident stopping power on snow and ice and reliable handling in winter conditions, the WS80 is here to perform when it matters most. Power through winter with the confident control of the Blizzak DM-V2 tire. A winter tire designed for CUVs, SUVs, and trucks, the DM-V2 delivers reliable handling in winter conditions and the confident stopping power you want on snow and ice. Bridgestone’s fuel-efficient tires are designed for fuel efficiency while maintaining the same all-season performance you demand. 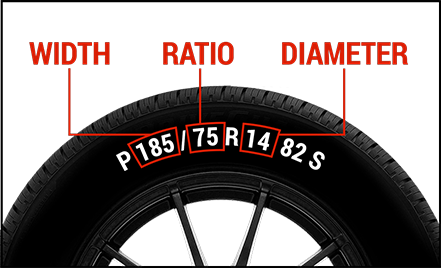 Explore Bridgestone’s selection of fuel efficient tires. The Ecopia EP422 Plus is changing the game in fuel efficient tires. Built for some of the most popular sedans and minivans on the road today, the EP422 tire offers dependable all-season performance while keeping your car fuel efficient. The Ecopia H/L 422 Plus is a fuel efficient tire for your CUV and SUV engineered to provide quiet, comfortable ride. Your safety and peace of mind are our priorities. Bridgestone run-flat tires are designed to keep your vehicle travelling safely and under control, even after a puncture for a limited distance. *Up to 50 miles at up to 50 mph. Repairable in limited circumstances. Results may vary depending on proper tire and vehicle maintenance, road conditions, and driving habits.